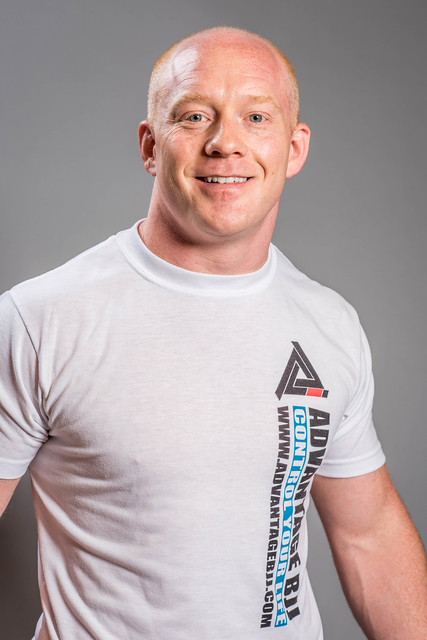 Danny Duckworth has been training Martial Arts since 2006 that started learning Juko Kia under Marty Smith. He’s trained under other Japanese Jiu Jitsu instructors such as Patrick Price and John Worrell receiving his Brown Belt within the Japanese system of Zen Budokai. 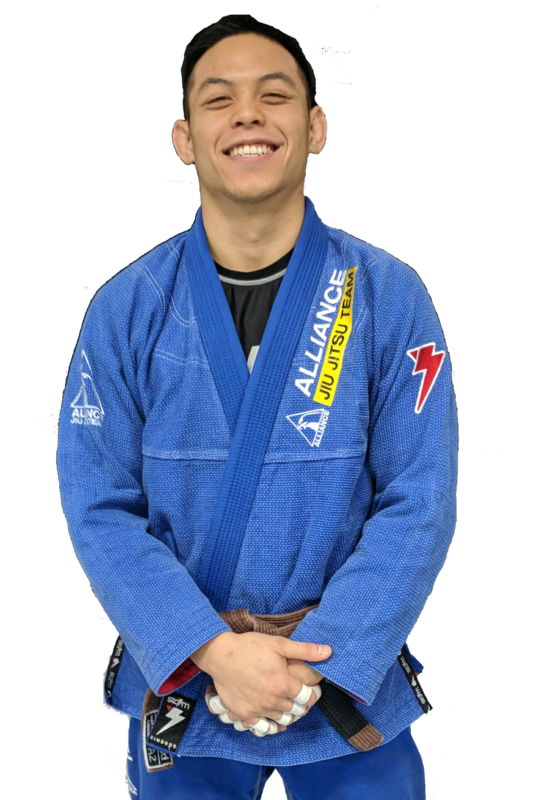 He has since picked up Brazilian Jiu Jitsu in 2009 and is an Official Alliance Black Belt within the Alliance System under Raul Jimenez from Alliance Jiu Jitsu Las Vegas. Started training BJJ under Joseph Cantu 4/2013 -Travis Tooke, Joseph Cantu became Alliance 3/14. 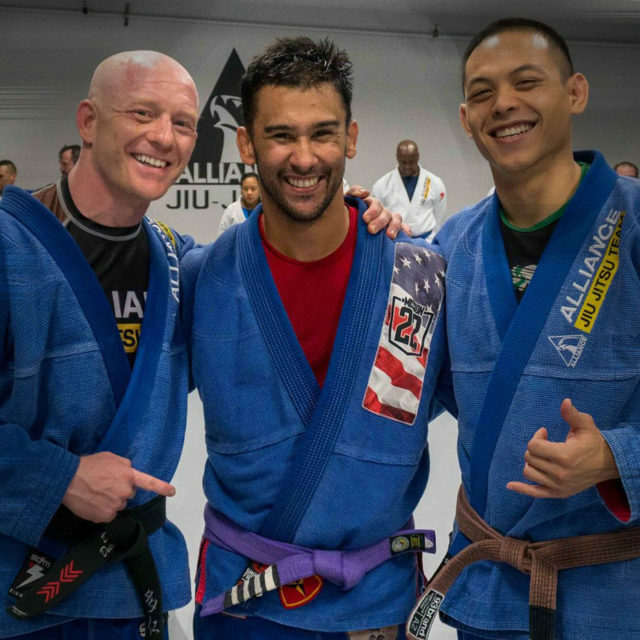 Received Alliance Blue Belt 9/11/15 and Purple Belt on 8/25/2017 with Alliance BJJ Professor- Raul Jimenez. Calvin is our amazing kids instructor who also teaches many of our adult classes. 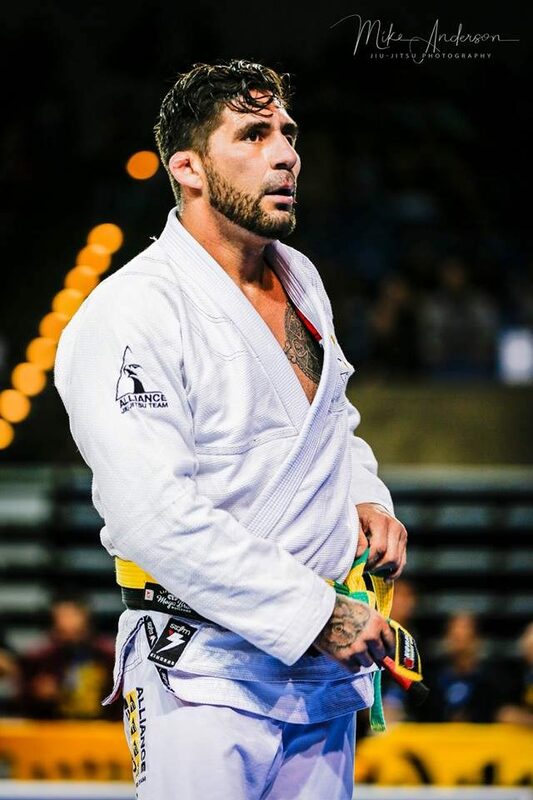 He has been training BJJ over 8 years and other striking arts years prior as a child. He has a keen sense to detail and great patience to teach and mentor all of our kids(and Adults). I started Brazilian Jiu Jitsu Jan 4th 2011 and not by choice. My Master Sergeant in the United States Marine Corps dragged me to my first ever class since noticed some symptoms that I didn’t even know I had after three combat tours (PTSD) to Iraq and Afghanistan. I went to my first class and barely survived the warm-up but loved every single minute of it. From then I was hooked. I was blessed enough to practice Jiu-Jitsu in Hawaii, Minnesota, New York, Texas and even Kuwait where I taught classes as a purple belt 4 days a week. Jiu-jitsu was not just a life style for me, it was a place where I left my demons at the door. I saw the same face every day even though I knew they would choke me out in 45 seconds once we started to spar. That never stopped me. The unity that everyone had once they stepped on the mats is what made everyone a family. We all came from different walks a life whether its military, judge, auto-mechanic, mailman, lawyer, student, house hold care giver, mom, brother or child we as a practiconer respected Brazilian Jiu Jitsu. Raul Jimenez and his family are some of the best Jiu-Jitsu competitors in the game today. They run ALLIANCE BJJ LAS VEGAS. Raul Jimenez has racked up some impressive titles. Him and his Son Roberto Jimenez have 9x BFA Titles, 11X IBJJF Gold Titles, 2x Pan Am Champs, 2X World titles and more are added monthly. Raul and Roberto will be guest teaching Jiu-Jitsu through the years here at Alliance BJJ Houston. World Champion under Alliance, Raul Jimenez has been in martial arts for over 15 years. He has been training Brazilian Jiu-Jitsu for 15 years and is a black belt under Romero “Jacare” Cavalcanti. Raul has trained and traveled all over the world to compete in BJJ and is an MMA fighter. Here are just some of his many accomplishments. Raul has completed Phase I and Phase II and is an Alliance certified instructor. 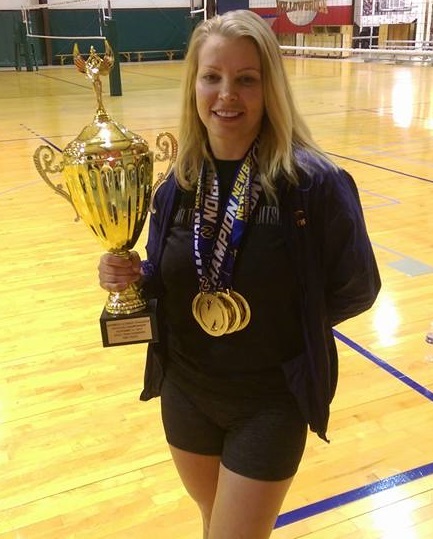 Purple belt Silver medal Panamerican IBJJ Master Super Heavy 2010 L.A – California. Purple belt Absulute division Gold medal GI Nagas .2010. Purple belt (Super fight against Brown Belt ) Champion Batle of Town.2010. Brown belt Silver medal Panamerican IBJJ Master Super Heavy 2012. Brown belt Gold medal Dallas –Open IBJJ Master Super Heavy 2012. Brown belt Gold medal Dallas –Open IBJJ Master Absolute division 2012. Brown/Black belt Gold medal Summer Classic Absolute division 2012. Brown belt silver medal Summer Classic Gi over 2012 lbs adult 2012. Brown belt bronce medal EUPORA Tournament –Dallas Absolute division adult 2012. Brown belt silver medal Austin Open Absolute division gi adult 2012. Sara “discovered” yoga while searching for healing and inner balance. She began studying and practicing hatha & raja yoga in 2011 under her teachers Tracie Brace Hatton (Padma Shakti), Gracie Alcocer, and Elle Anders and is currently working on completing her 300 hour teacher certification. Through the help of her teachers and her own personal yoga practice, Sara has come to understand the true meaning of inner peace and living a better quality of life physically, mentally & spiritually. Teaching Yoga Foundation classes has allowed Sara to share with others her experience of yoga’s benefits and express her passion to restore, improve, and maintain total health by balancing the mind and body. Yoga Foundation: Teaches the principles of alignment, form, flexibility, strength & stability; developing mindfulness; & yogic breathing. Yoga is a skill which teaches healthy biomechanics of movement that will improve & maintain good health for years to come. The process of learning the poses stabilizes & brings flexibility to the spine & joints of the body. The method of breathing builds respiratory efficiency & creates balance in the nervous & endocrine systems.